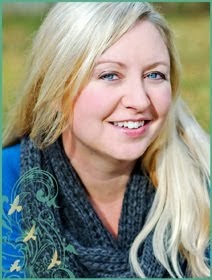 Kristin Creative: Ally Carter - Heist Society - Tonight! Tonight (and tomorrow night), Ally Carter (The Gallagher Girls series) will be in Houston promoting the first book of her new young adult series, Heist Society. It sounds like a lot of fun! The film rights for this were snatched up VERY quickly, so that's exciting to hear about a new book! Buzz buzz buzz!! I'm anxious to hear what wisdoms Ally has to pass along! 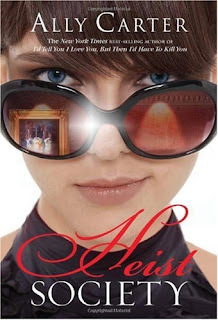 Now, would any of you be interested in winning a signed copy of Heist Society in a contest if I get my hands on an extra one? First edition hardback! Let me know (today, please ;)!! I would love to win a copy of this book! I've been watching it for months, and it sounds great!! Definitely let us know how the reading/signing with Ally goes! How could anyone say no that that offer? Yes. How fun, a signing! Tell us how it went. I would LOVE to read this book! It sounds like an incredible story. I would love to win a signed copy!!! But wait she is in town tonight?! Where I must go!!! I can't believe I don't know where to find this info! email me at jenniferdaiker@gmail.com if you get this before hand!!! Well, this is mild interest (6 comments - I'm not saying that those of you who did comment did so mildly ;), but the idea of hosting another contest has won me over! I will see what I can do tonight! That sounds like so much fun! I hope you have a blast!!! DL - You are automatically disqualified for the contest! NA NA NAH NAH NA! hahaha.